The Grindstone Award Foundation is pleased to offer a women’s development camp Friday, October 20 in Midway, BC. This excellent opportunity is open to women from the Kootenay/Okanagan region of all skill levels. WHERE: BOUNDARY EXPO RECREATION CENTRE, MIDWAY, B.C. On-ice Session: Fundamentals of the game. Skill development (edge work, power skating, backward skating, stick handling, shooting, puck control). Position specific tactics, agility and skills. Chalk Talk Session: Responsibilities of each on-ice position, detailed walkthroughs for breakouts, forechecking, defensive zone coverage, face off positioning and safety tips. Social: Cap off the week and relax with a Grindstone team after the event. In all of our sessions, we will be grouping by ability level which allows us to ensure that each player will be challenged and comfortable at the same time. All activities, both on and off the ice, have been designed to contribute to the total hockey development. 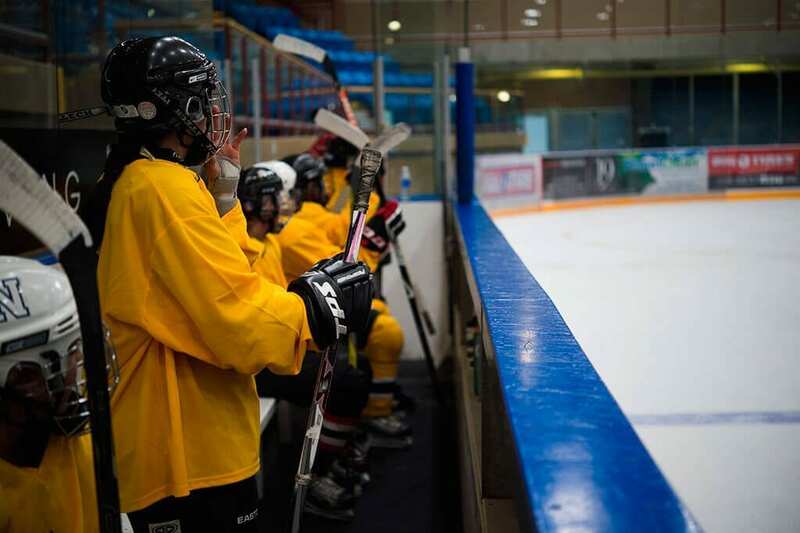 Our goal is to challenge each individual to reach their full potential as a hockey player. All proceeds from the development camp will go towards the Grindstone goal. Our goal is to raise funds for the Grindstone Award Foundation – to help female hockey players with financial aid that otherwise couldn’t afford to play. We want to make an impact across the Nation by empowering women in life and sport. Proceeds after expenses will go towards this effort. Head east on the Crowsnest Hwy approximately 70 Km to Midway. Turn right onto Cleghorn St. then take a left onto 7th Ave.
Take Hwy33 E to Rock Creek. Continue to on to Midway, Turn right onto Cleghorn St. then take a left onto 7th Ave.